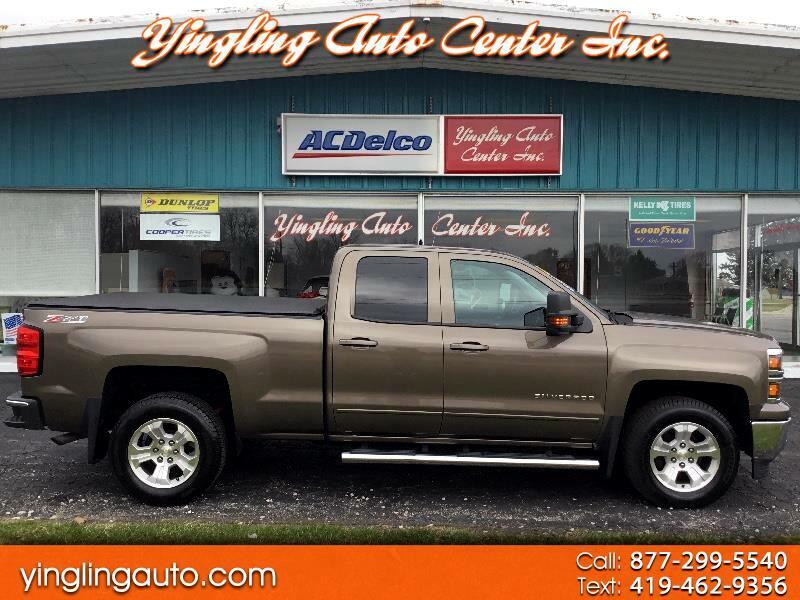 Used 2015 Chevrolet Silverado 1500 LT Double Cab 4WD for Sale in Bellevue OH 44811 Yingling Auto Center Inc.
Just in on trade one super clean 2015 Chevy Silverado LT 2 1500 Dbl. cab 4x4, One owner local trade & Clean Car Fax, this truck is in absolutely like new condition, Check out the option list, Remote start, Backup Camera, Z71 Pkg, Spray in bed liner, Tonneau cover, Factory Tow Pkg. Power Drivers Seat, Power Mirrors & Windows, Balance of factory power train warranty, Stop by and check this one out today! Balance of factory power train.